FCICA, the Flooring Contractors Association, in cooperation with ARDEX Americas and nora systems, Inc. is pleased to announce the next recipient of the Bruce Newbrough Memorial Certified Installation Manager Program (CIM) Scholarship. 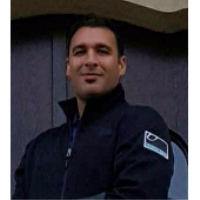 Riazati received his bachelor’s degree in civil and environmental engineering with a specialization in structural design from the University of California, Irvine, and his master’s degree in civil engineering with a specialization in construction management. 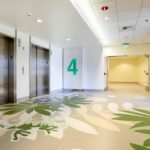 He was involved with United States Green Building Council through the LEED process for a number of projects in the field of structural design with a focus on high-rise structures and commercial spaces. In the role of Director of Construction Services at Universal Metro, he has been actively learning and applying the concepts of substrate remediation techniques. He has had the valuable and unique opportunity to visit some of the well-known underlayment production plants throughout the world that enhanced his knowledge on the technical side. “I am humble and proud to be the recipient of the Bruce Newbrough Memorial Scholarship. This opportunity will help me in engaging myself in a life-long learning experience through CIM programs. 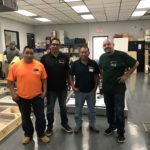 It is my vision and dream to learn and deliver this knowledge to the next generations of Certified Installation Managers. This scholarship, created in remembrance of Bruce Newbrough from ARDEX Americas, provides for the entire program costs associated with the Certified Installation Manager (CIM) Program including application, content, and assessment fees. Scholarship applications are accepted throughout the year, the next scholarship opportunity will open in August. Applications are available on the FCICA website: www.fcica.com/CIM . The CIM program provides industry-specific training modules led by experts that speak from years of floor covering experience packaged with assessments to confirm the vast knowledge obtained. The program is completely online, allowing users to work at their own pace, on their own time. For more information about the CIM Program, go to www.fcica.com/CIM. The Bruce Newbrough Memorial Scholarship was established to provide educational opportunities to floor covering Installation Managers who have demonstrated exceptional commitment to and excellence in proper substrate preparation and installation of floor covering. 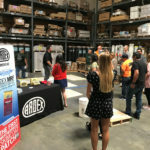 Bruce Newbrough, as ARDEX Director of Technical Services and later Applications Development, tirelessly utilized every opportunity to further his vision and passion for industry education and training on proper substrate preparation, all for the purpose of achieving successful installations. This is the foundation on which FCICA, the Flooring Contractors Association was built and the reason that Bruce was a dedicated ambassador of this organization. 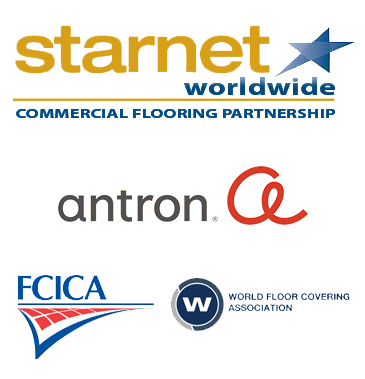 ​FCICA, headquartered in West Bloomfield, Michigan, is the resource for premier commercial flooring contractors. Promoting the advancement and continuous development of Certified Installation Managers (CIM). Providing technical education, business support and industry expert networking. Delivering skills and knowledge to enhance the professionalism of commercial flooring contractors. FCICA is an international association whose contractor members serve the continental United States, plus Burma, Guam and Canada. For more information about FCICA: visit our website www.fcica.com or call 248-661-5015; toll free (877) TO-FCICA. For more information, visit https://www.fcica.com/news/details/fcica-announces-payam-riazati-is-bruce-newbrough-scholarship-winner.